Thanks Des, I just checked it out. It does however seem to use the same engine as Babelfish, but have a limit of 300 characters. is not very juicy and rather uninteresting - no new perceptions. contains the same theories discussed here in this forum. Do wild caught Hypancistrus have bull heads? - Nobody has seen a wild caught fish with bullhead. When does the bull head symptom occur? 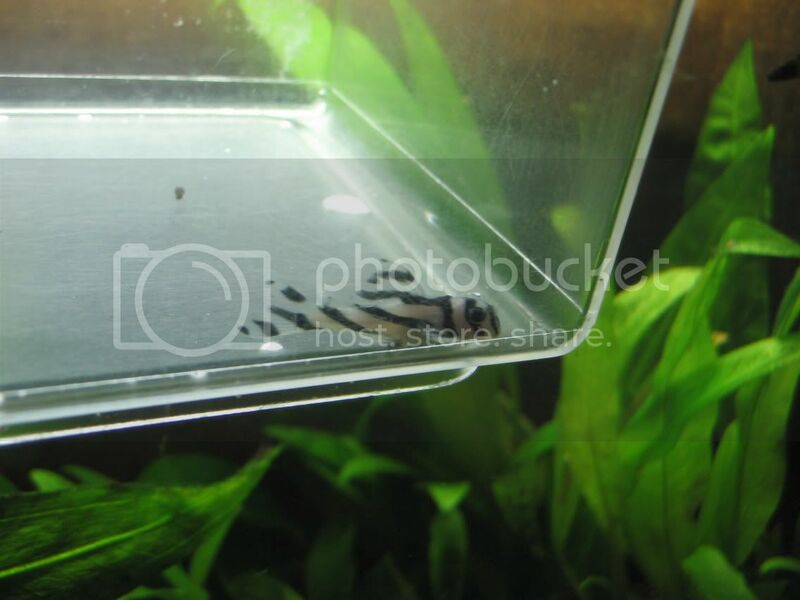 At larvae or at young normal fish? 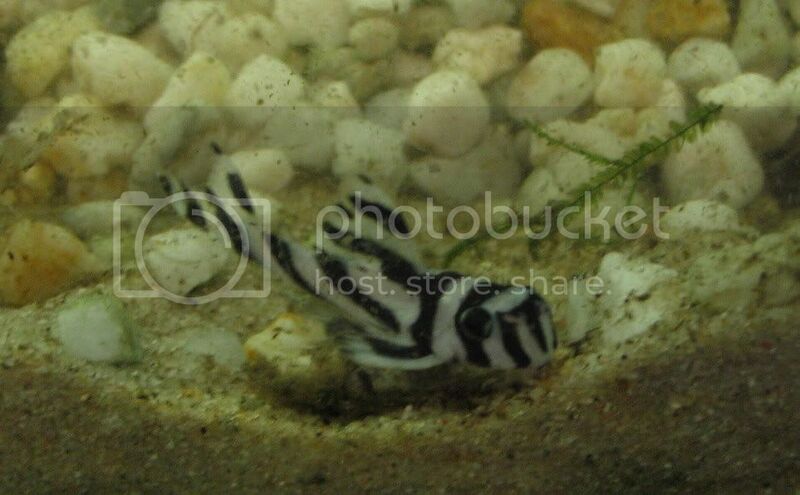 - at young, normal fish, not yet with larvae. Better results if the fry is raised in tanks with sand on the bottom? Some tell, they have better results since they raise fry in tanks with sand. Is the "bull head symtom" a result of a genetic defect or a result of husbandary? No contenting answer, if it´s a rezessive hereditary disease, fishermen should also catch some fish with defect in South America and at least some should rarely be imported. Do Hypancistrus have bullheads in their habitat, too, and if yes, in which case they are handicapped in comparison to normal young fish, so that they do not grow up to maturity? - Would be interesting to examine, but how? McEve wrote: There's been a wild caught speciement foung according to DATZ. Do you know the issue? Then I could take a look, I do not remind this. Do you think there might something to the mercury damaging the DNA theory? Well, it´s not important, what I think - I would like to know the reason, but I do not. But I do not _think_ so, because if this would be the reason, this problem would not accumulate with fry bred in captifity. And, e.g., Rio Tapajos (Peckoltia sp. L 134) did have much more digging for gold than Rio Xingu - why do L 134 not show this damage? Or do you think it's cause is something entirely different? I think, it´s a problem of husbandry, but I do not know. Why does it accumulate with Hypancistrus? Why do Baryancistrus, Panaque, ... do not grow to full length reached in nature, if held in aquaria? Erwin wrote: the pictures of the L18-mutants (p.43) were all taken from wild caught animals. Aquarium Glaser, where the pictures were made, received these fish all at one time from the normal exporter of this species from Brazil. They even came together with the high-fin mutant of L81 (p.79), which made me call an online-article about them "Quasimodo and Esmeralda meet Jar Jar Binks". Oh.. but a damaged DNA could follow for generations ? Walter wrote: And, e.g., Rio Tapajos (Peckoltia sp. L 134) did have much more digging for gold than Rio Xingu - why do L 134 not show this damage? They don't? Do they have any other known malformations? McEve wrote: Or do you think it's cause is something entirely different? That's a good question, but does it only affect Hypancistrus, and not Ancistus as well? McEve wrote: Oh.. but a damaged DNA could follow for generations ? But what´s with the frequent occuring of this damage at different Loricariinae? And what´s with bull head Hypancistrus inspector "L 201"? They live in Rio Orinoco - as far as I know there has never been a gold rush in Rio Orinoco basin and so no mercury contamination of these fish likely. I do not know of these problems with Peckolita. I breed L 134 regulary for nearly 3 years now, and I never had only one fish with such a damage. And I do not know any other Peckoltia breeders telling of this problem. One reason could be, that Hypancistrus breeding is much more common than breeding Peckoltia... but probably this is not the cause. Thank you so much for taking the time to answer Walter. Upon reading my previous reply I see it might look a bit argumentative. I don't mean it like that, I'm just very keen on finding out what triggers this deformity. You have shed new light on the issue, no doubt about that! McEve wrote: That's a good question, but does it only affect Hypancistrus, and not Ancistus as well? now I'm going back to the store to tell them about this problem. I hope we'll find out some more things about this strange happening. Sorry you lost this zebra. Sadly, the fish shop sold you a deformed zebra. IMO bulldog plecs should not even be allowed into the trade. Sorry to hear about your zebra mate. What size was it. How long did you have the wee guy again? he ws 3 cm, and after 3 weeks I lost him I think. after 2 months I empty the tank to searge him, but he/she was no more. I can buy a new zebra for the half of the price, but if they know about the bulldog nose maybe I can get it free. It's true as Rob stated, that they seem to be able to live perfectly normal lives even with this deformity. But I still think you should argue your point with the shop - they sold you a deformed fish without telling you. You wouldn't have been able (or should not, however you see it, discussed earlier in the thread ) to use the fish for breeding later on for instance.